The ZTE Velocity Hotspot is a splendid unlocked and new hotspot. This device comes together with our amazing return policy. When mobile devices first started becoming popular, carriers tried every marketing trick in the book to tie customers to long and expensive contracts. Unfortunately this practice is still very much in evidence today. But that doesn’t mean we should all just sit back and hand over our hard earned money every month without trying to take a bit back! That’s why this Unlocked ZTE Velocity Hotspot is so important. Creating a WiFi hotspot for your device is a very handy option to have but, make it a hotspot that can connect to 4G networks in over 200 countries, and you have the world (literally) at your fingertips. Small enough to slip inside your bag or pocket, yet packing a punch big enough to make local mobile communications truly global, the Velocity 4G LTE WiFi Mobile Hotspot brings the cloud down to street level. Netgear specifically catered this hotspot to work with AT&T. 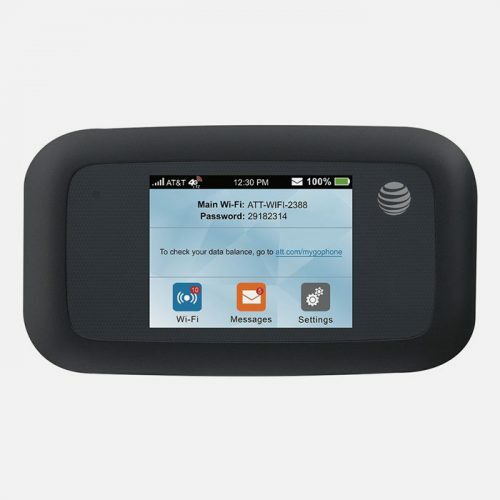 It therefore carries the AT&T logo and has the technology that comes along with it. When it was created, it was as if Netgear signed a partnership with AT&T to sell this device and the AT&T service for it together. Considering that this is Mr Aberthon’s website, it has since been fully unlocked to work with any GSM network. That means that while it still works on AT&T, it will work just as well on T-Mobile and their friends or sub-networks. In case you don’t know the process of unlocking a device, it is very simple indeed. No technology has been changed, nor was it hacked to get it to work. There is an unlock code that is typed into the device, and that unlocks it. It is often through paying a small fee that it is unlocked, and even AT&T would do it if you asked. The best thing here though, is that it was already done for you, so no need to wait around any longer. And with the Velocity 4G LTE Mobile Hotspot, you can connect up to 10 of them at the same time via a secure private WiFi network. Who says small things can’t make you popular? Network providers don’t actually make any money on the handsets they supply, so they have to make up the shortfall on the airtime contracts that go with them. This means tying you to commitments of up to 2 years which, in itself might work just fine for most people, but try going out of the country on those same terms. Before you know it, just occasionally checking email and Facebook has racked up a bill of hundreds of dollars. With an unlocked hotspot like the Velocity 4G, you can add a SIM card from any airtime provider across 200 countries, meaning you get to choose the cheapest, most convenient option for you. Local Pay-As-You-Go contracts usually offer data allowances of 1 or 2GB for just a few dollars, and you’ll always know how much you’re spending. At Mr Aberthon, we only supply unlocked portable hotspots, helping you to avoid roaming charges and saving you money right out of the box! To add to the steal, the shipping is on us. The use of the latest security measures means your data connection stays with you, and isn’t exposed to being accessed by anybody nearby who doesn’t have the password to access your hotspot network. Basically, unless you tell someone both the name and password, nobody gets on your network except you. This means no longer wondering who might be snooping on the free airport or coffee shop WiFi you’re using to check your bank account! You can also allow one-time guest access by use of a randomly generated password for your guests to use to connect. Once they disconnect, the password is no longer valid, meaning you have absolute control over who does and doesn’t use your network access. The biggest buzzword of the last few years has been “cloud”, but what is it, exactly? Actually, it doesn’t really matter. With The Velocity 4G LTE WiFi Mobile Hotspot you don’t need to know how it all works, just that it all will. The Velocity does the heavy lifting for you while you just get on with life. 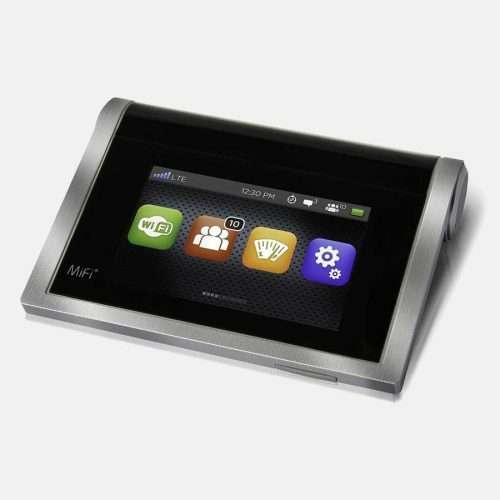 A clear, bright, full-color touchscreen makes connecting to both your own hotspot network and the internet as easy as the press of a fingertip. And all without the need for an engineering degree. To be able to use the Velocity Hotspot, the sim card that you will need to use will be the micro sim card, the sim card in the middle. You can use the image here to compare what size sim card you currently have. You can contact your network provider and they will happily provide you with a micro sim card. If you don’t want to contact your network provider, a SIM card adapter can be found online at a very low price. The adapter will change the micro or nano sim card and enable it to fit in the phone without altering the sim card or perhaps risk destroying it. If you’re not sure what size your sim card is, you can take a picture of the sim card and email it directly to our customer service. They will be able to help you. In the box, you’ll find the Velocity 4G LTE WiFi Mobile Hotspot, a removable battery and a charging cable. Well, we’ve been trying to tell you how simple the process is, and you don’t need anything else to get going! Q: What networks is it unlocked for? A: The ZTE Velocity is a AT&T branded device. However, it has since been unlocked to use with all GSM networks. 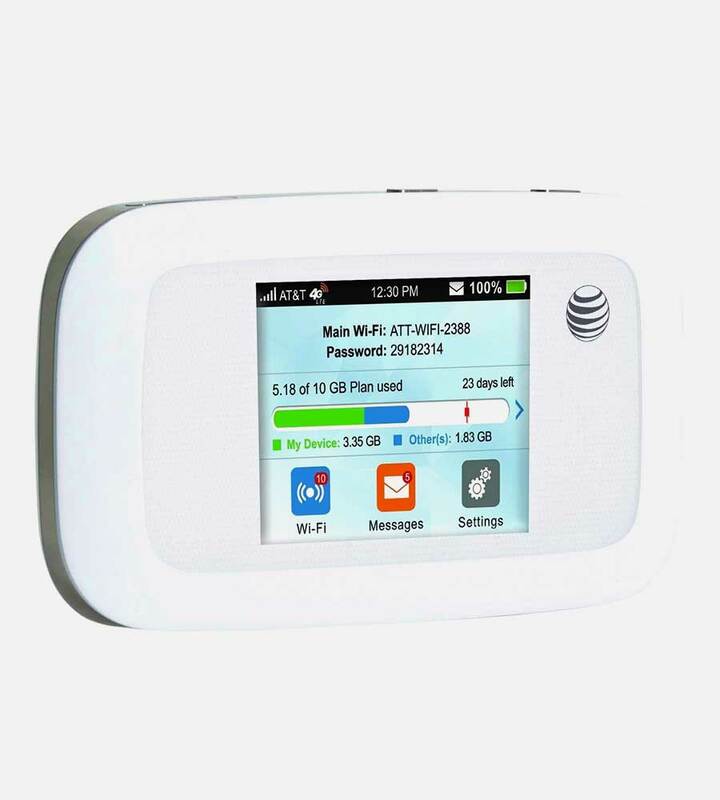 So AT&T, T-Mobile, Metro-PCS as well as many other GSM networks will work as well with this hotspot. You will need to simply get a data plan from a local provider or from an international one with an international plan. Then you must insert the SIM card and the hotspot is ready to give off Wi-Fi. Q: How many devices can connect at once? A: This hotspot can connect to 10 devices at the same time. That means you can go on a trip with 9 friends and you can all stay connected using the hotspots internet. 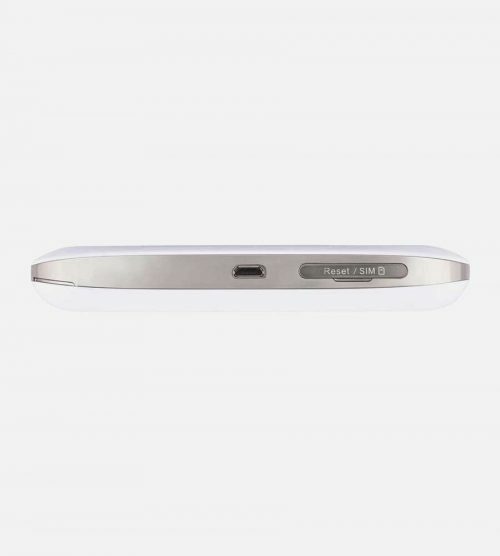 Smartphones, laptops, iPads or tablets and other portable Wi-Fi connecting electronics will all happily connect to this hotspot. If you have a device that must be tethered to receive internet, that option exists too. Q: What size SIM card fits into this device? 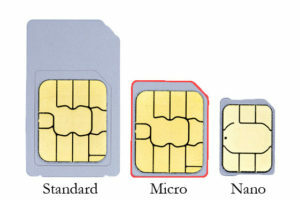 A: This device uses a Micro SIM card, which is the middle size SIM card between Standard and a Nano SIM sizes. Your network provider will provide you with the correct size sim. Contact them for one when you set up your service. Q: Does this device have 4G or 3G connection? A: This device works both with 4G and 3G service. 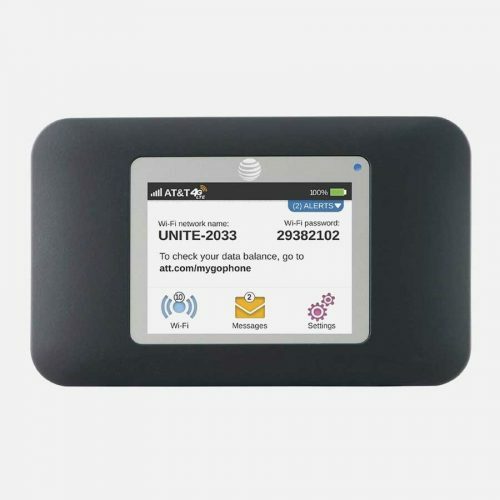 Depending on what is locally available, the device will connect to the correct internet to help you get the best connection. Q: How long will it work on one charge? A: The ZTE Velocity will last up to 10 hours of continuous use on a single charge. That is enough to last a full workday and more. This hotspot earned its name for a good reason. Q: I have no phone service, will this hotspot work to give me internet? 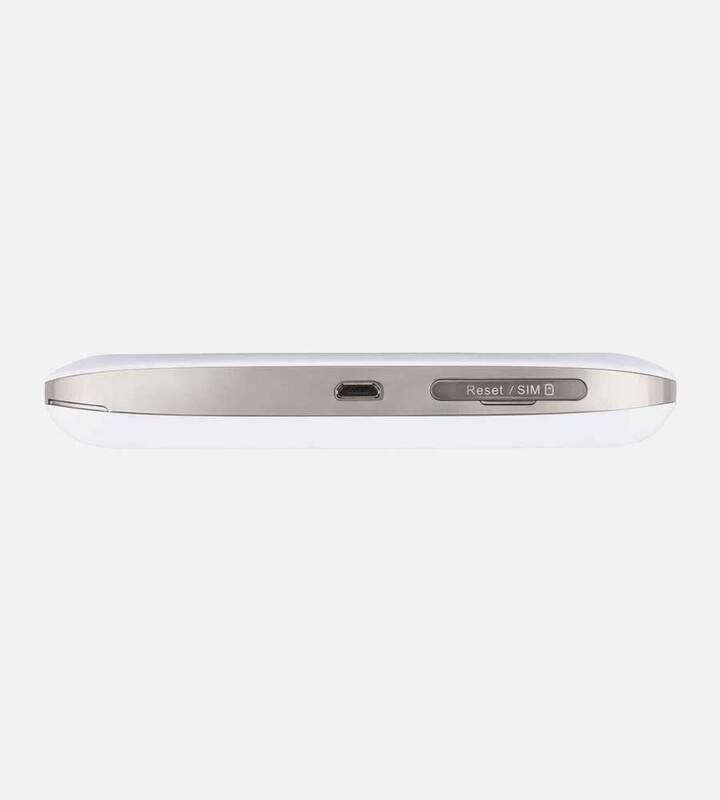 A: This hotspot works the same as mobile devices in regards to connectivity. It needs to be connected to a local server in order to give off Wi-Fi service. While it will work in every civilized place with internet connection, it will not in far flung areas that have no cell towers. Q: How do data plans work with regards to a hotspot? A: There are many network providers that offer data plans for hotspots. The plans will give a certain amount of GB of internet for a specific sum of money. They will then provide a SIM card to insert into your device which will give you the internet you are looking for. Comparing prices will ensure you get the best deal out there. Find out if data rolls over to the next month if it doesn’t get used. As well as asking what happens when the total cap limit is reached. Will they charge extra for going over, or will they simply cut the service. Q: Can I password protect my device? A: Yes, it comes with a default username (SSID) and password, both of which you can and should change. This way you have full control over who can access your hotspots Wi-Fi. In addition, it will help keep the data usage down to only the people who have permission to use it. To those people you will give the password and they will sign into the hotspot as they do to any Wi-Fi giving device. Q: Do I need internet in my home to use this? A: No, you do not need home internet to use the device. In fact, it can replace it. Once you set up a data plan with a network provider and insert the SIM card into the device, it will give off Wi-Fi to up to 10 devices at once. It will work great whether at home, work or during travel. Q: Is this device always on or does it only give internet sometimes? A: While the screen may turn off, the device will continuously be giving off Wi-Fi signal. Therefore all connected devices will get a seamless internet connection. Q: Can this hotspot work while in a moving car? A: Sure, the Velocity will work anywhere that it can get a data signal from the providers towers. If there is no signal, then the device, as well as any cell phones you may have, won’t be able to connect. It needs to be able to get its service to pass it on to other devices.